Something that has changed drastically over the years is the selection of modern cribs that don’t break the bank. A crib with clean lines was so hard to find 6 plus years ago that was less then $1,000. Today with amazing companies like Babyletto, Ikea and Baby Mod, just to name a few, there are so many options to choose from. I love this because it allows my client’s budgets to be spent on more important items for their nurseries. I’d rather have them invest in a great rug or cool lighting. 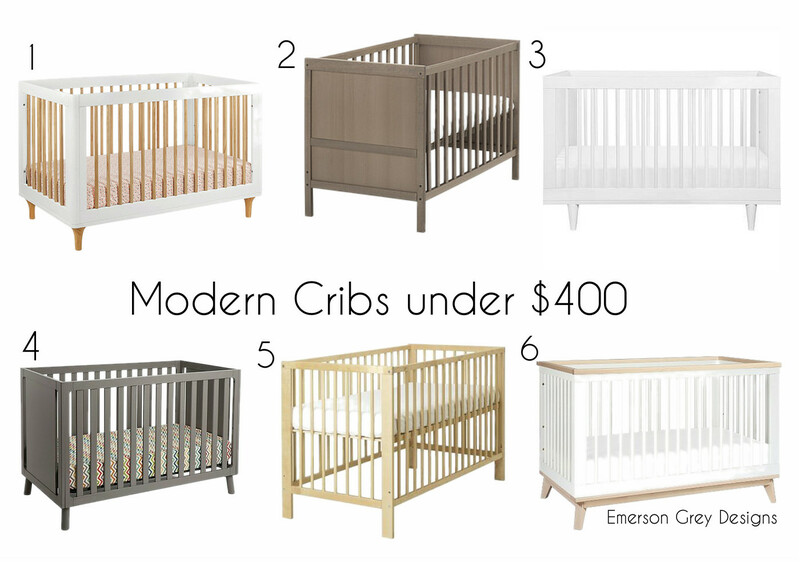 Today I’m sharing my top picks for cribs under $400. Be sure to check out the rest of the options through these companies as they offer many different colorways and styles. Do you have a favorite? I know I do….